Winter is one of my favourites times of the year to photograph. Early morning mists… frosty, a little bit of snow, even the odd splatter of rain gives a beautiful effect on an outdoor wedding photo shoot. I love to take full advantage, no matter what the weather brings. You can’t predict the British weather, so don’t be disheartened if the weather doesn’t go the way you planned and the heavens open. 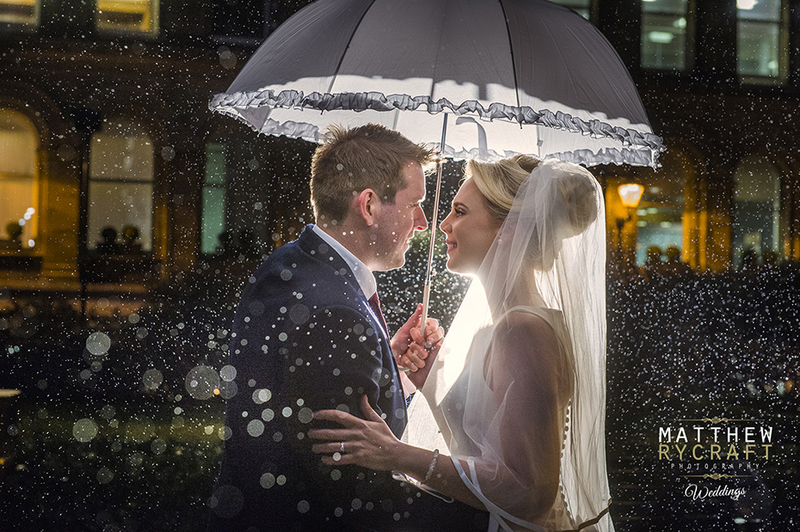 Unplanned weather will add to your photos as a stunning backdrop, so make the most of it and kick off your heels and have a splashing time at your winter wedding. With most of my brides, on the morning of their wedding, they worry about getting rained on in the dress before they’ve even walked down the aisle. 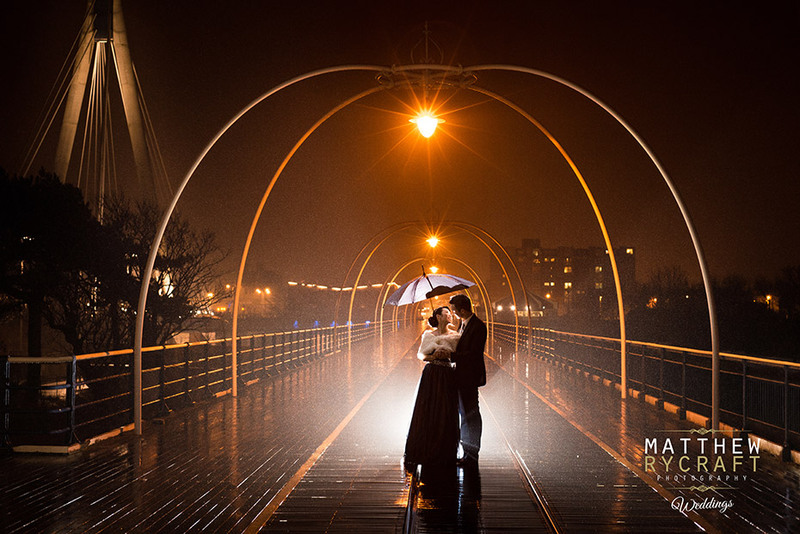 NOT TO WORRY LADIES, Wedding umbrellas are perfect to have as an accessory and so much fun to shoot. Plus with the cold weather you can add to your outfits with blankets, shawls and even fur coats. Winter wedding photography is a great excuse to snuggle up to your Groom. A good winter wedding photographer always has a creative mind, when it comes to frosty mornings and puddles of rain and should be able to take the perfect shot no matter what. People make a wedding – not the weather. Be inspired and take a look at my favourite winter wedding photographs, I have taken over the years. 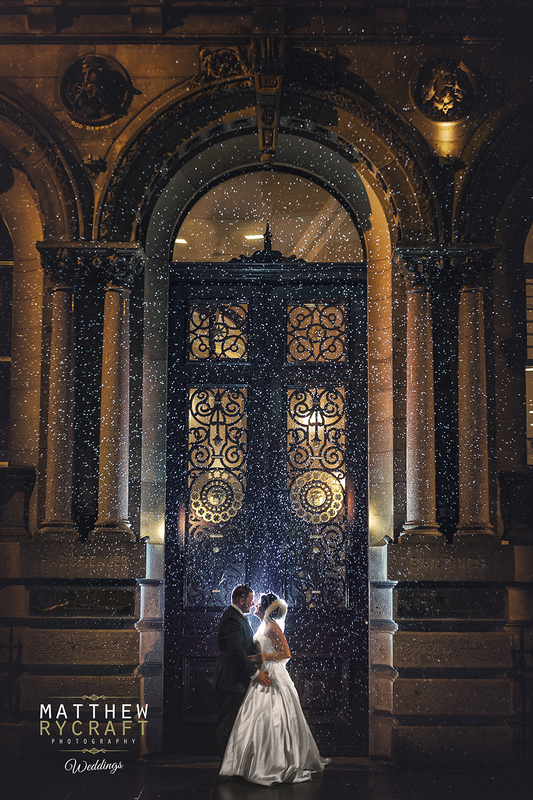 Some include a couple of images from inside a wedding venue during winter months, this shows that you don’t always have to go out side to get those moody and dramatic winter wedding photographs, should the weather be too bad to consider going outside. Whether it rains or shines, have blustery winds or it snows… it all adds to your unique winter wedding photograph, everyone will envy.